(Au, or another sites), this may not work. Sd.Kfz.234/1 - 4. Danzig 1945 #88011. IN GOOD CLEAN CONDITION. WHAT YOU SEE IS WHAT YOU GET. 3" - 4" IN SIZE. 1/48 Kubelwagon armored car. 1/48 Panzer lV Ausf. This lot is a" CORGI 909 QUAD TRACTOR, AMMUNITION TRAILER & FIELD GUN ". ORIG BOX shows wear and is torn. Model is second-hand and in excellent condition. Model does not include original box or packaging and the listing image is of the actual model to be shipped. Special note: model is missing two small antennas from the turret. 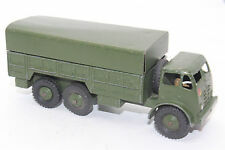 Dinky Toys No 162b AMMUNITION LIMBER/TRAILER. WORLD HISTORICAL KITS. & TOY SOLDIERS. SCALE 1/32" 54MM SIZE MODEL/ --. You get one tank at this price. more available. TANK MARK VIII BRITISH UNITED KINGDOM DESIGNER 1917-PRODUCED 1918-1920 ONLY BUILT 125 FOR THE FIRST WORLD WAR. THIS ITEM IS A 1:66 SCALE REPLICA MLC. The maker of the model really did a good job with the model, the panel lines and details are very clear and crisp. The coloring and markings are accurate and realistic. (Ultimate Soldier). WWII Accessories Lot. 21st Century Toys. USED Lot of accessories. The item you see is the item you will receive. Continental U.S. Flat Rate. Answer : Check your monitor graphic settings; and the age of the monitor you use may alter the color seen. Dragon Armor - King Tiger - Henschel Turret. Unit - Pz.Abt. 503 - Schwere Panzer Abteilung 503 was actually the Schwere SS Pz. 503 (as there was a regular Army Schwere 503rd as well). It was refitted with Tiger II (King Tigers) in September 1944 and redesignated Schwere SS - Panzer Abteilung 503. You are buying a new HO 1/87 Trident # 87098 - MTVR Mk36 6 x 6 Wrecker Truck Resin KIT. This is a KIT that must be assembled and painted a color of your choice. TRUCK STOP HOBBIES CAN NOT ANTICIPATE THE COST OF THESE FEES AND IS NOT RESPONSIBLE FOR THE FEES. Military Micro Machines M1A1 Abrams Tank Lot of 3. Condition is Used. Shipped with USPS First Class Package. Please use pictures as reference. Feel free to reach out to me with any questions. PLEASE NOTE: These items are apart of a large collection. Individual pieces range from used to great condition. I am selling multiple lots and will ship the first 3 I randomly grab from storage. All will come with landing gear if applicable. I will combine shipping costs for international customers only. New for 2019! An Iraqi counterattack was broken up by fire from 5 Marine artillery battalions. The 1st Marine Division lost 1 M60A1 tank clearing a path through a minefield. The 1st Marine Division encountered more Iraqi opposition as it proceeded to move north. Lufwaffe Fallschirm 1. Hobby Master. Realistic panel lines, antennas, access panels and surface details. MINT IN BOX. Panzerstahl 1/72 8,8cm Flak18/36 - 33. FlaRgt., 21. PzDiv., DAK, 1941 #88041. 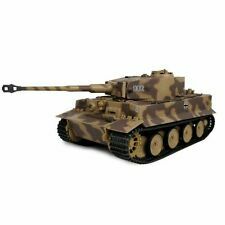 Panzerstahl 1/72 Panzer III Ausf.L - 10. Kit includes 7 soldiers with wagon, phone pole and various gear along with hanomag and canon. Unimax Forces of Valor - German Sd.Kfz. 251/1 with 75mm PaK 40. Campaign - Normandy 1944. Unimax Toys. USED Collectible Unimax Toys - Forces of Valor Series Vehicle. It is a 1:72 scale replica. The Item has scratches, scrapes, broken or missing parts. The item you see is the item you will receive. 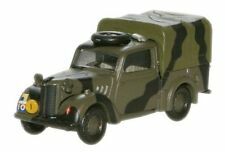 Opel Kfz.305 Blitz Cargo Truck. German Army, Normandy, France, June 1944. Hobby Master. MINT IN BOX. Pad printed markings and placards that won't fade or peel like decals. Panzerstahl 1/72 Panzer III Ausf.N - 2. PzDiv., Kursk 1943 #88027. Panzerstahl 1/72 Panzer III Ausf.N - 15. Unimax Toys Forces of Valor US Military M270. USED Unimax Toys, Forces of Valor Tank / AFV. The item is 1:32 in scale. The item may have scratches, scrapes, broken or missing parts. The item you see pictures above is the item you will receive. Military Micro Machines M-551 Sheridan Tank Lot of 3. Condition is Used. Shipped with USPS First Class Package. Please use pictures as reference. Feel free to reach out to me with any questions. PLEASE NOTE: These items are apart of a large collection. Individual pieces range from used to great condition. I am selling multiple lots and will ship the first 3 I randomly grab from storage. All will come with landing gear if applicable. I will combine shipping costs for international customers only. MT-LB APC Armored Personnel Carrier Russian Army, USSR. Military Vehicles. M48A2 Patton. IDF 7th Armored Bgd, Rafah Junction, Gaza, 1967. Hobby Master. Ground Power Series. MINT IN BOX. Pad printed markings and placards that won't fade or peel like decals. Model is second-hand and in excellent condition. Model does not include original box or packaging and the listing image is of the actual model to be shipped. Unit - sPzJgAbt 653. Dragon Armor & Cyber-Hobby Jagdtiger - Porsche Version - Jan. 1945. Campaign - Jan. 1945. VINTAGE 1:32 Weathered M5A1 Stuart Tank w/ Mine Plow 21st Century Toys American WWII tank. Used sold as pictured with no returns. Please ask any questions before you buy it. Massive us army playset with bridge layer tanks u.s. army figures vehicles wow"! Special army builders lot. massive little playset must have. This is a 3 7/8" long toy motorcycle that I think is hard rubber. It is in the condition shown. I don't know who made it. It has a bit of separation on the bottom, as shown. 3 x F-16 Thunderbirds. 1 x P-3C Orion (missing rear landing gear). 1 x Mirage F-1. Micro Machines Lot of 5 Military Aircraft.